When set to 'On', the RSS button in the main window will appear, allowing the user access to the built-in RSS reader. If this setting is switched to 'Off', all information in the RSS View will be saved, and no RSS activity will occur. The first option will automatically activate newly created feeds. The second option will cause the software to remember which feeds were active when the last session was closed, and will re-start them when the next session has started. 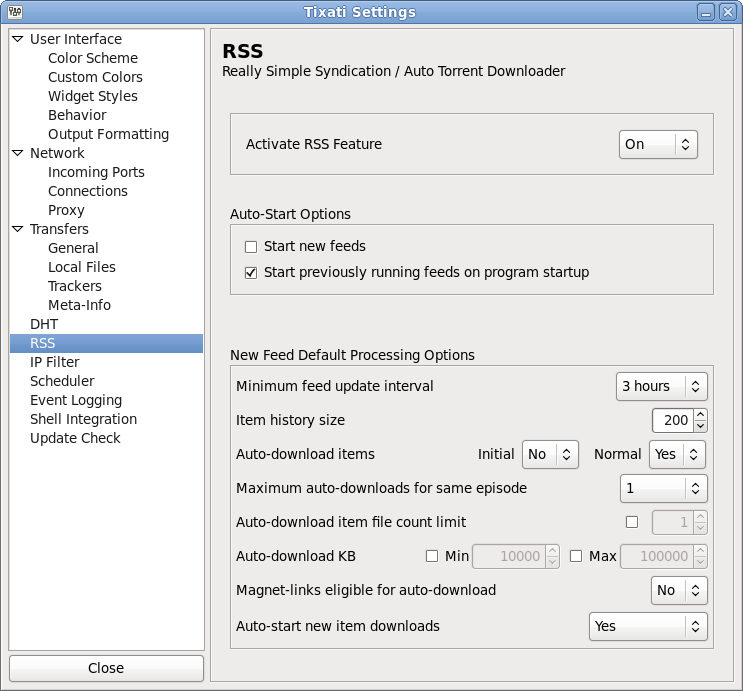 These will be the default options in the RSS Add New Feed window under the 'Feed Processing Options' tab. These options will not affect any existing feeds.